Can Vitamin B12 Be Calming? Certain vitamin deficiencies are associated with anxiety, agitation and mood disorders, and correcting such a deficiency may thus produce a calming effect. It's important, however, to check with your health provider before using any dietary supplement to treat a medical condition and to take extra caution with "megadose" supplements, as these may produce harmful side effects. Research regarding the use of vitamins to treat serious mood disorders is not particularly strong, and you may get better results from conventional medical treatment. B vitamins are integral for normal brain functioning, and a deficiency in one of these vitamins may manifest itself in symptoms of irritability, anxiety, poor concentration or depression. While all B vitamins affect your mood, B-12 and B-9, or folate, in particular, are strongly correlated with mental health, and thus, people with anxiety or depression should ensure they get adequate intake of these vitamins, according to "Psychology Today." Per Recommended Dietary Allowance (RDA) figures, males and females 14 and older should consume 2.6 micrograms of B-12 and 400 micrograms of folate in their daily diet. Exercise caution when taking B vitamin supplements, however, as they may cause side effects or drug interactions; taking high doses of vitamin B-3, for example, can cause liver damage. According to "The Anxiety & Phobia Workbook" by Edmund J. Bourne, Ph.D., vitamin C helps support the adrenal glands and thereby helps you deal with stress. According to Bourne, anxiety sufferers should take 1,000 milligrams of vitamin C with bioflavonoids, twice per day, for a calming effect on the nervous system, and double this dose under times of high stress. Some holistic health resources, including HolisticOnline.com, advocate taking as much as 5,000 to 10,000 milligrams of vitamin C per day for stress. These recommendations, however, are not supported by conclusive clinical evidence, and according to MedlinePlus, taking vitamin C in doses greater than 2,000 milligrams per day is not recommended, as such high doses can cause stomach upset and diarrhea. According to the The Food and Nutrition Board at the Institute of Medicine, men only need 90 milligrams of vitamin C per day and women need 75 milligrams daily. Besides helping your body build strong bones and muscles, vitamin D may also be important for mood, as it may increase serotonin, a neurotransmitter involved in resisting anxiety and depression. Vitamin D may be especially important for inducing a calm, positive mood in people with Seasonal Affective Disorder -- a depressive condition related to lack of sunlight. Some research, including a study published in "Psychopharmacology" in 1998, concludes that vitamin D supplementation improves mood in people who live in northern climates during winter, likely due to its role in serotonin production. However, other research, including a more recent study published in "Nutrition Reviews" in 2009, concludes that while vitamin D may play some role in relief of mild depression, much is still unknown regarding how vitamin D relates to stress and mood. According to MedlinePlus, the best way to get essential vitamins is to eat a varied diet, rather than taking a vitamin supplement. 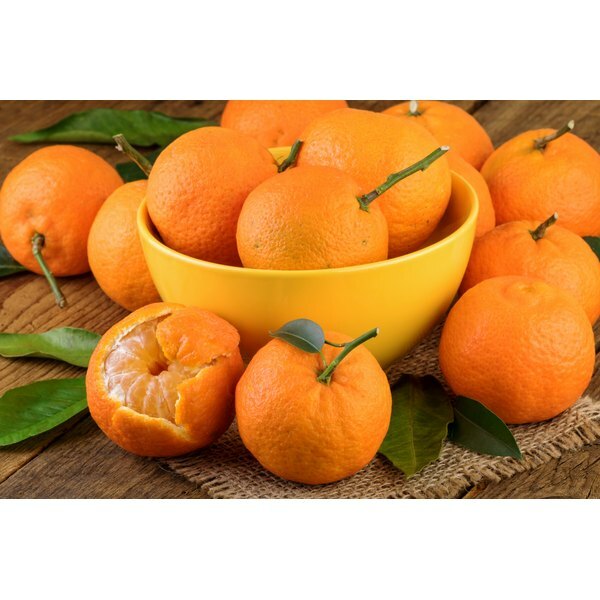 Some foods that provide good sources of the mood vitamin folate include fortified cereals, lentils, soybeans, oatmeal, leafy greens, broccoli, sunflower seeds and oranges. Oranges, broccoli and leafy greens also supply another vitamin that may help you deal with stress: vitamin C. To get your vitamin B-12, eat wild salmon, milk, eggs, fortified cereals and lean beef. Vitamin D isn't found in too many foods, although milk and soy milk are often fortified with vitamin D, and you can also get it from egg yolks and fish with bones. Nutrition Reviews: Vitamin D and the Occurrence of Depression: Causal Association or Circumstantial Evidence?